The Cuisinart Belgian Waffle Maker is a round waffle maker that can bake two waffles at a time and makes cooking your breakfast pleasurable. The waffle maker features 2 LED ready indicator lights and 3 audio beep tones signal when each waffle is done. The easy to handle rotary allows you for even baking on top and bottom. 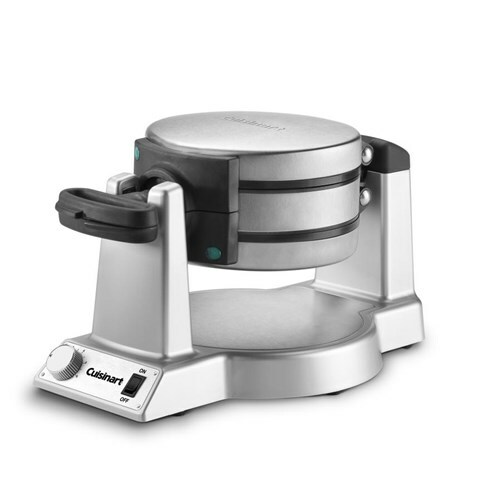 The Cuisinart Belgian Waffle Maker has many exciting features for users of all types. You can extend the lifetime of your Cuisinart Belgian Waffle Maker with the purchase of a FactoryOutletStore Factory Protection Plan. 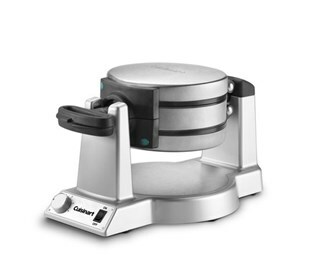 See the Cuisinart Belgian Waffle Maker gallery images above for more product views. The Cuisinart Belgian Waffle Maker is sold as a Brand New Unopened Item.